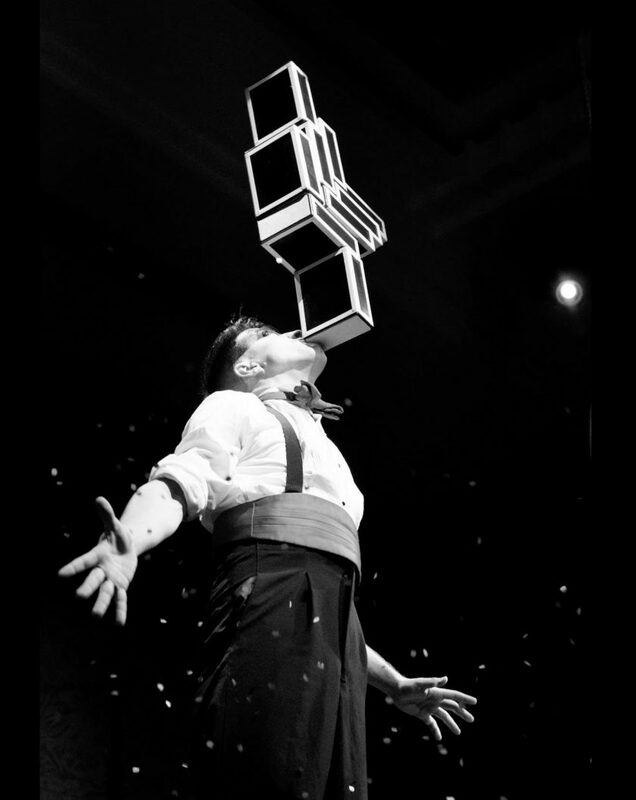 There are juggling props, balls, rings, clubs and then there are boxes, with his sharp comedic timing Mr.Gorski will amaze you with the skill of the ever astounding Boxes. Daniel Gorski, ‘…seasoned professional never missing a beat’ (‘the age’ 2005) “Gørski is an enormous talent!” -The Australia Times Daniel Gorski is regularly seen on stage in Australia’s lively Vaudeville and variety scene. Originally from Melbourne Daniel’s passion and persistence for movement and performance has taken him in many directions, including a degree from NICA, Australia’s only official circus school and annually touring nationally and internationally since 2006. Daniel has worked with companies such as CIRCA, Circus Oz, P&O, Skyworks, Sticky Planet Productions, ABC and Live Nation as part of ‘Hoopla Doopla’, as well as a key ensemble member of The Sydney Opera House’s production The Funatorium: Mad Hatter’s Tea Party. Daniel is regularly guest artist for shows El’Circo, El’Circo Rouge, El’Circo Blanc, Gin-mill Social, Vaudevillia, Barzirk, Bat-Man Follies, Sweet meats and Brunswick Picture House Cheeky Cabaret. Daniel developed an early passion for the vaudeville/variety artist from his upbringing in musical theatre, inspiring him to polish and refine an alter ego named “Mr. Gørski” An Eastern European character who mixes his own style of cabaret, comedy, variety, circus, and physical theatre into a fun and exciting extravaganza, adding to whatever show that he is part of. He has also developed a full length theatrical show “The Vaude-Villainous Mr.Gørski” that toured in 2016 winning and being nominated for numerous fringe awards.